The west side of Col de la Croix Fry (1467 metres) is one of my favourite winter climbs (it’s kept open for the local ski stations). April is later than I usually visit, but there was still plenty of snow around. 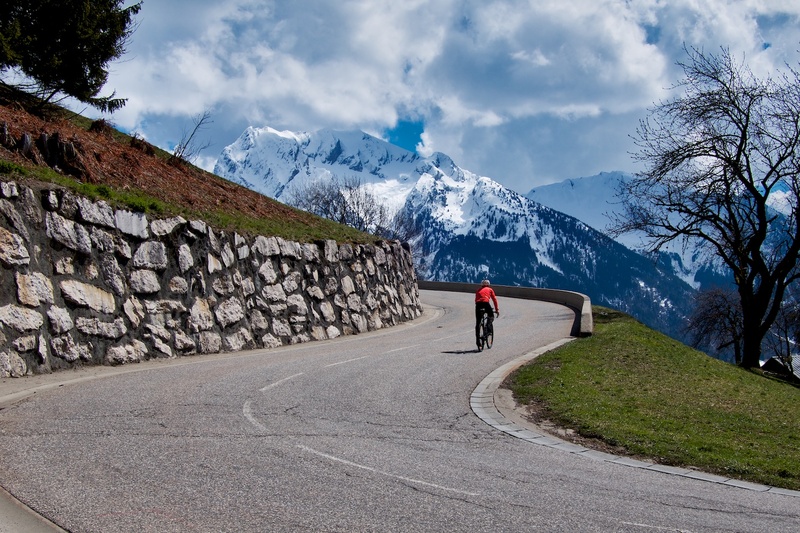 Croix Fry is a relatively well known road featuring in the Tour de France 5 times – as recently as 2018. 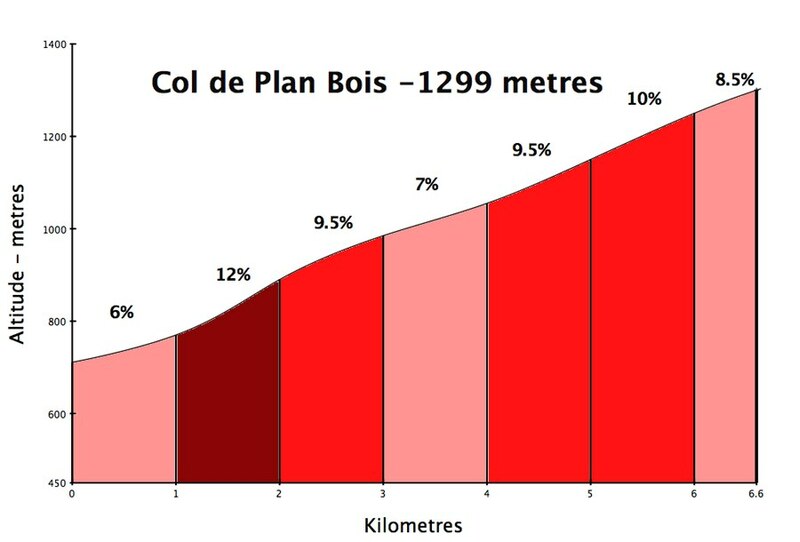 But the best way to approach it is via the far less well known Col de Plan Bois (1299 metres). 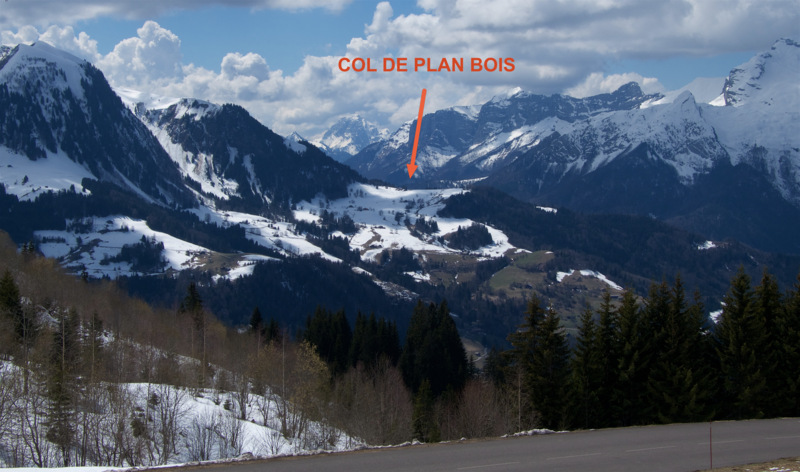 Col de Plan Bois is a steep and quiet road with fantastic views throughout. The top kilometre of the far side of the col is closed in winter. But it’s an easy and scenic snow traverse so no worries making a brief snow hike. Here’s a great summer mountain bike loop visiting several of the remote unpaved cols here then finally descending Plan Bois. It can be a cold, shaded descent towards Manigod, but there was no ice today. At Manigod I rejoined the main road to Croix Fry (see map). This still permits you to climb the best top half of the climb. I’m not exaggerating, I have a lot of old photos from the exact same place (sorry, but I enjoy looking back at these). At Col de la Croix Fry, I often do a quick there/back to the dead-end Col de Merdassier (1500 metres), but I skipped it this year. If interested see the map in this post. Above Col de la Croix Fry is Plateau Beauregard. It has great cross-country skiing. 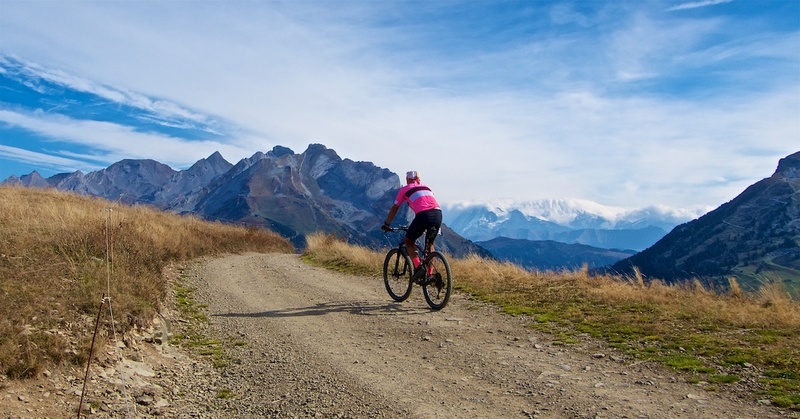 It’s also reachable by mountain bike – see this ride for a very fun unpaved loop. Next, I descended the east side of Croix Fry, soon joining the Route des Grandes Alpes. 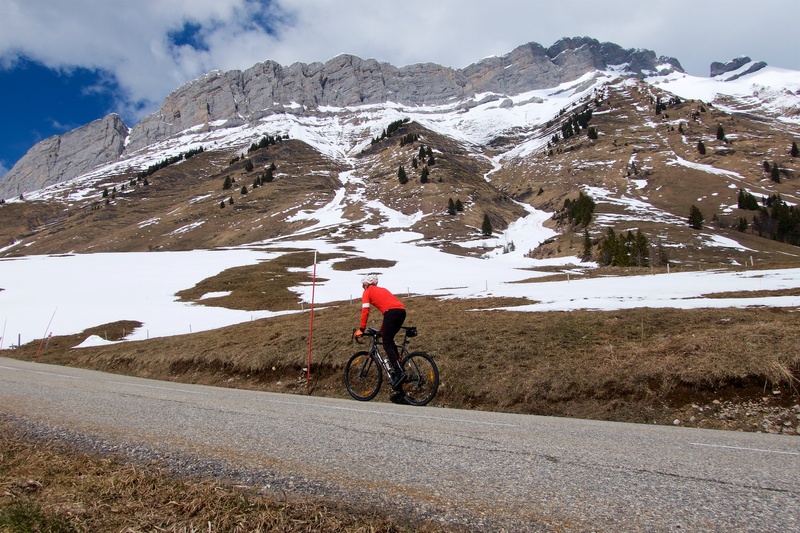 A right turn and the last four not-very-steep kilometres to Col des Aravis. A stunning stretch of road. opposite side of road gets more sun so less snow. 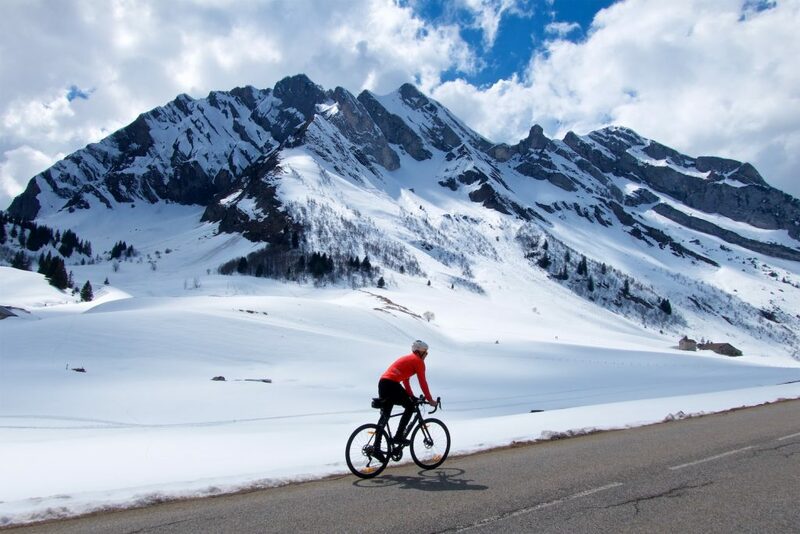 One can make a big loop by descending the south side of Col des Aravis and returning to the start via Col du Marais – but I knew a couple of road closures would make this difficult at the moment. If you’re here in summer see the map in this ride. 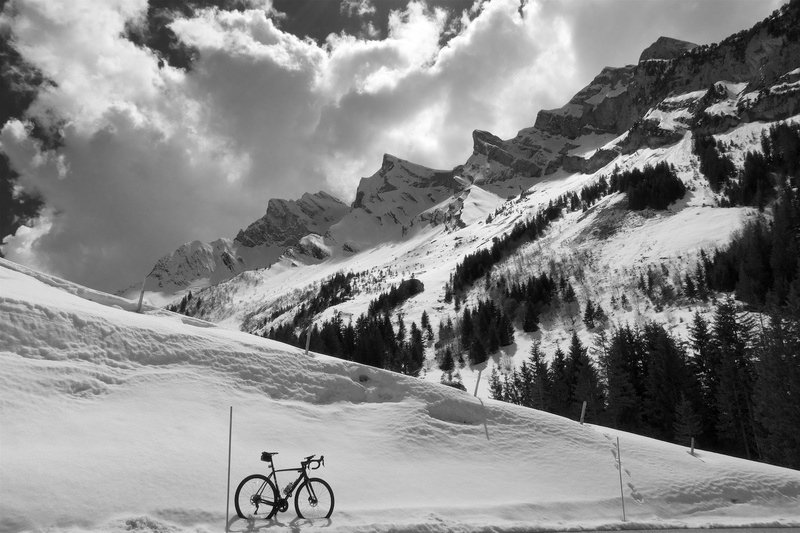 I kept it simple and just double-backed for a fun descent to the start via Col de la Croix Fry. This is always a good ride, but far better in the colder, snowier months while the highest passes are still closed. 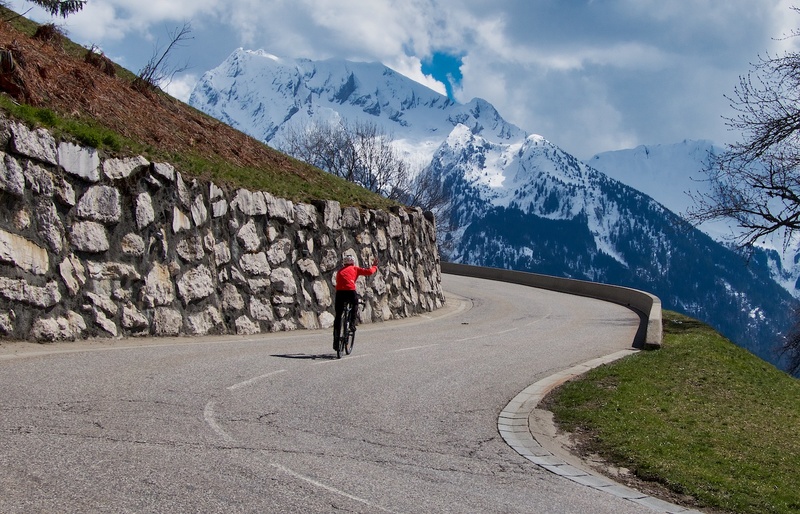 Great ride and blog, hairpin included! 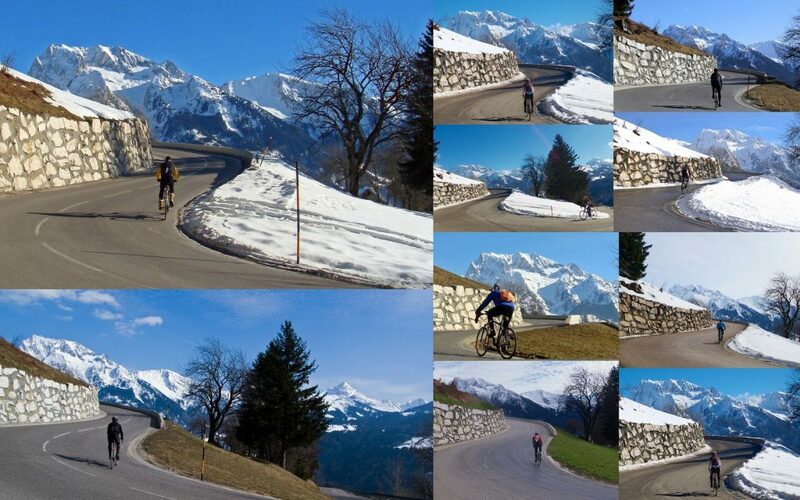 I rode most of this in mid-March, following your Croix Fry, Aravis, Hery, Marais route. Thanks for your tips, as always. You do the best travel books all time. Get so many ideas and inspiration from your riding.